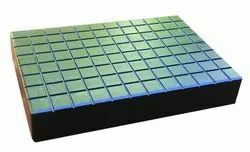 We provide our clients with qualitative Cast Iron Lapping Plates that are used for accurate hand lapping of various materials like nylon, plastics, ceramics and other non-ferrous material. These cast iron lapping plates are available in round and rectangular sizes and have 3 mm wide and 3 mm deep serrations on working surface equally spaced at 25 mm. Our iron lapping plates are manufactured using closed grain graded casting as per IS 210:1993 confirming to Grade FG- 220. 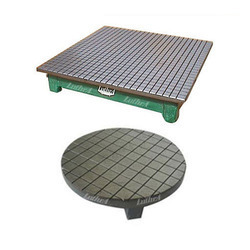 We provide Granite Lapping Plates that are used for accurate hand lapping of material such as nylon, plastics, ceramics and other non-ferrous material. These are available in Square and Rectangular sizes and are made up of black granite. Each of the plates has 3 mm wide and 3 mm deep serrations on working surface equally spaced at 25 mm and have lapped surface finish. Looking for Lapping Plates ?